"A FRAGRANCE INSPIRED BY BOTH THE PAST AND THE PRESENT, THE TRADITIONAL AND THE MODERN. THIS IS PARTICULARLY REFLECTED BY THE INGREDIENTS. 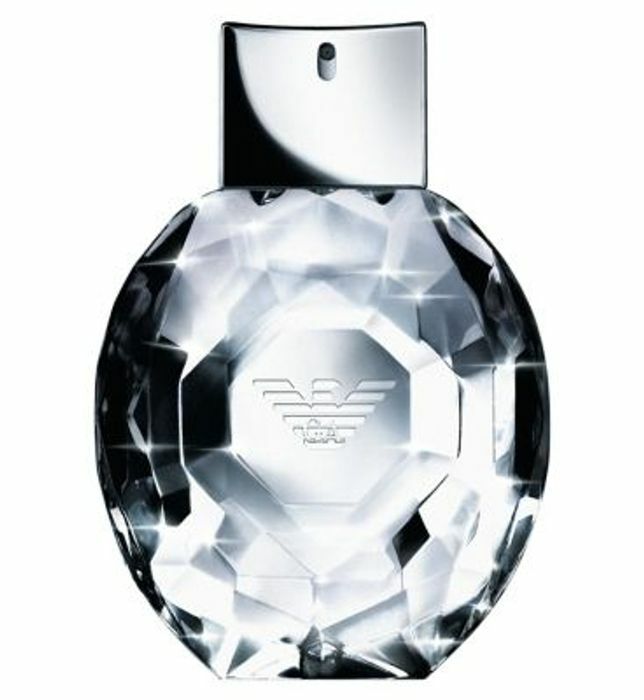 A fragrance that reflects the sparkle, strength, brilliance and sexiness of the EMPORIO ARMANI woman. The sensory blend is a surprising gourmand fragrance to give a stone a flavor and to a woman a self confident and audacious feeling. The rose, a symbol of femininity is made edible and succulent through the addition of a touch of litchi and raspberry. Of course, an EMPORIO ARMANI sexiness is achieved through the combination of woods and amber. A sparkling, juicy, irresistible, absolutely feminine and assertive fragrance is born. The precious scent encased in a sculpted, sparkling block of glimmering glass. Engraved at its center, the unmistakable EMPORIO ARMANI eagle. A diamond in your palm, accessible, immediate, truly a girl’s best friend"